Companies who are interested in renting an exhibition stand and/or sponsoring the event are kindly invited to contact the conference organization at ecrs9@utt.fr. If you wish to present your scientific equipements, display your innovations, or develop your contacts, we propose an exhibition stand for you at the heart of the meeting during the whole event. Please download the exhibitor brochure to get more information about participating as an exhibitor. In making a commitment to become a sponsor, your company will be assured high profile exposure at this conference. Please download the sponsorship proposal to get more information about becoming a sponsor. 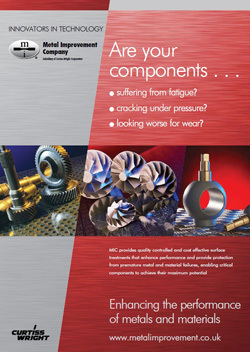 VEQTER Ltd is a leading-edge spin-out company from the University of Bristol employing unique technology and expertise for the measurement, analysis and management of residual stress in engineering components. Currently serving many industrial sectors Worldwide, VEQTER is helping to reduce the frequency and duration of downtime that costs some clients more than £1,000,000 per day. 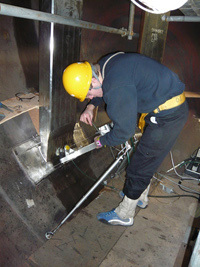 For residual stress measurement we employ industry proven methods and specialise in the Deep-Hole Drilling technique. Our portfolio of proven measurement techniques also includes Incremental Centre-Hole Drilling, Neutron Diffraction, Ring Core, Sachs Boring, Slitting, Synchrotron Diffraction and X-ray Diffraction. Through our experience and extensive knowledge of using these measurement techniques we provide our clients with impartial advice on the optimum use of a wide ranging portfolio of techniques to suit their requirements. Rigaku employs over 1,100 people worldwide in operations based in Japan, the U.S., Europe and China. We value our people. Our value comes from them. Close collaboration between our users and employees sets the direction and focus of our work, allowing us to address customers' needs and stay close to the market place. GNR ANALYTICAL INSTRUMENTS thanks to its 30 years of experience, design and produces analytical instruments and develops procedures of analysis for various applications, supplies the corresponding laboratory equipment for the procedures, providing training, consulting and Customer support worldwide through its well established sales and post sales network. G.N.R. Analytical Instruments Group designs and produces Rotate Disc Electrode Optical Emission Spectrometers ( RDE-OES) for the measurement of contaminants, additives and wear metals in lubricants oils, coolants, hydraulic fluids. G.N.R. Analytical Instruments Group designs and produces x-ray laboratory and portable X Ray Diffraction instruments (XRD) for material structure determination. SINT Technology has been in business since 1990 and is located in Calenzano, near Florence. The company has a staff of over 30 engineering technicians, all graduates, trained and qualified in measurement, analysis and diagnostics and mechanical, electronic and software design engineering. 4. Training: Strain gauge measurement courses and examinations for first and second-level certification for electrical resistance strain gauge testing engineers. Our examination centre is the only centre recognized in Italy (by CIC-CPND, the Italian Coordination Centre for Non-Destructive Testing). Courses are also held on residual stress measurement by mechanical methods and on measurement uncertainty. Stresstech Group provides products and services for process control and quality inspection of for example camshafts, crankshafts, bearings, gears and valves. Our applications are for monitoring various manufacturing processes, such as grinding, super finishing, shot peening, heat treatment and case depth after case hardening. Our turnkey solutions, instruments and measurement services are based on Barkhausen Noise (BN), X-ray Diffraction (XRD) and hole-drilling for studying residual stresses, retained austenite contents, grinding burns, heat treat defects, hardness changes and welding stresses. Main users of our applications are automotive, machine and aerospace industries. 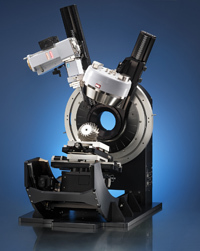 Bruker is a worldwide market leader in providing advanced X-ray and optical emission systems and complete solutions for structure and elemental analysis using X-ray diffraction (XRD), X-ray fluorescence (XRF) and crystallographic diffraction techniques. 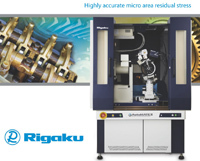 Our D8 ADVANCE and D8 DISCOVER instruments offer dedicated hardware and software solutions for residual stress determination by means of X-ray diffraction. They enable measuring normal and shear stress up to the complete stress tensor, and data evaluation using the traditional sin²(psi) method as well as the multi hkl evaluation method. 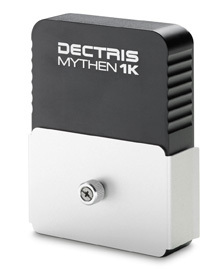 DECTRIS is the technology leader in X-ray detection. As a spin-off from the prominent Paul Scherrer Institute in Switzerland, DECTRIS incorporates Swiss precision in research, development and implementation of X-ray detectors. DECTRIS offers wide variety of supreme 1D and 2D detectors, all based on single-photon-counting technology. Owing to their unique properties such as robustness, fast readout, flexibility, scalability and absence of any noise, these detectors have revolutionized X-ray diffraction: DECTRIS' detectors are nowadays integrated at almost every synchrotron light source in the world and into a wide span of laboratory diffractometers. The company's aim to continuously improve the measurement quality and enable new scientific findings is reflected in numerous special solutions for customers in scientific and industrial field. DECTRIS was awarded the 2010 Swiss Economic Award in the High-Tech Biotech category, the most prestigious prize for start-up companies in Switzerland. Inel is a French X-ray diffraction company with 40 years of technical expertise, which designs, manufactures and supplies instrumentation. Its equipments are destined for public or private research centers, as well as for industry. 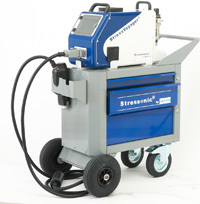 You know that stress and texture measures are possible for small samples on XRD laboratory instruments (max. 15 x 15 x 2 cm). Doing the same kind of analysis on complete parts or other very big samples is still possible but typically needs more complex instruments. The systems used are XRD systems fixed on a robot like the Precix robot, but you still have to bring the sample to the instrument place. 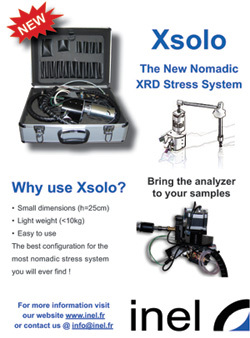 Now you will be able to bring the analyzer directly to your sample and measure residual stress and texture in field with the new Inel Xsolo system. Curtiss-Wright Surface Technologies ("CWST") is the group name for the collective technical services provided by Metal Improvement Company ("MIC") and its affiliate companies, E/M Coating Services, Everlube Products, FW Gartner Thermal Spraying, Parylene Coating Services and IMR Test Labs. The services that we offer are designed to enhance the performance and extend the life of critical components operating in demanding environments. Ever since Pulstec was established our strategy has been for "Research & Development oriented manufacturing" contributing to innovative development within the industrial community. Our personnel have therefore striven to develop their skills keeping up to date with advances in technology, enabling Pulstec to focus on the research and development of products that our customers require. Pulstec has, like many other high technology sectors companies, experienced periods of growth, enabling our business to expand. Similarly, we have experienced less profitable periods due to less demanding commercial environment. It is however, without doubt, that these less profitable periods require our investors to maintain confidence in Pulstec innovative skills, to overcome these situations and to enable the company to return to a period of business growth. Pulstec is determined to make further innovation, in order to facilitate the application of our employee's skills to achieve a fast return to growth. We will also explore the many new and exciting opportunities to meet the needs of our new and future customers. We are going back to our origins in order to be essential a company for the development of the society and we kindly ask for everyone's support and cooperation as we are to work as one to overcome this hardship. PANalytical (formerly Philips Analytical) is the worlds leading supplier of instrumentation and software for X-Ray diffractometry and X-Ray fluorescence spectrometry, with more than half a century of experience. The company offers X-Ray analytical equipment for industrial and scientific applications as well as for the semiconductor market. In our analytical X-ray product line, we offer a broad range of X-ray fluorescence and X-ray diffraction equipment to customers in industries such as cement, steel, copper, aluminium, petrochemicals, industrial minerals, glass and polymers and to customers in R&D institutions. 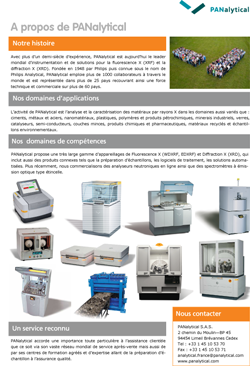 ULTRA RS is a French company working on material characterization and residual stresses measurement with ultrasounds. Non destructive testing with ultrasounds is widely used in the industry for crack detection. ULTRA RS uses also the ultrasonic method in order to analyze the material state, regarding residual or apply stresses and mechanical characteristics. ), Specific research and development. 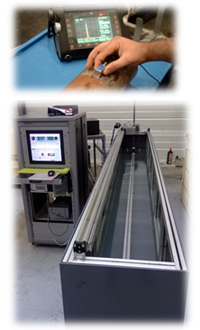 PROTO is a leading provider of portable and laboratory based x-ray diffraction (XRD) systems. With over 30 years dedicated to technological advancements, PROTO is proud of it's highly recognized product line for residual stress & retained austenite measurements. Our product line includes the high-speed LXRD Laboratory System, flexible iXRD Portable System and the handheld mXRD Ultra Portable system. 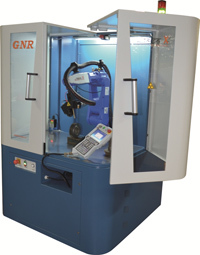 Utilizing our XRDWin 2.0 software, these systems provide residual stress characterization solutions for a wide range of applications including shot peening, heat treatment, surface enhancement, grinding, machining, welding, corrosion and fatigue. Our instruments and measurement services are used internationally within numerous sectors including automotive, aerospace, medical, marine, military and power generation. Founded in 1991, SONATS is an innovative industrial company specializing in metal surface treatment and post welding treatment with as core technology the STRESSONIC®, a cold working Ultrasonic Impact Treatment solution (UIT). Our ultrasonic shot peening, needle straightening and needle peening are adapted to our customer's requirements. Handheld or automatic, in house or on site treatments, SONATS recognized expertise is used in many sectors: Aerospace, Automotive, Energy, Medical, Transportation, Infrastructures, Oil&Gas and Heavy industries. A constant innovation process enables SONATS to offer state of the art processes and technology to meet and anticipate our clients' expectations. From laboratory investigation to implementation of processes and machines, our collaborators and engineers offer qualified services and customized solution for optimized results. Knowing that more than 65% of SONATS turnover is done abroad, our company has developed an international network designed to provide qualified and reactive services and equipment for our global clients.